Today, there are some things that are staples in our lives: cell phones, the internet, text messaging, and K cups. 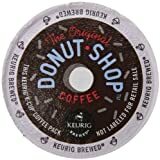 Although those things are new and we couldn’t imagine life without them, coffee is something that was a part of American life in the past that’s even more so today, and finding the best K Cups has become a part of our grocery shopping routine. It seems like coffee is more a part of our culture than the hot dogs and apple pie that we identified with in the 50’s and 60’s. Coffee is more than just a way to help us wake up in the mornings and warm us up in the winters, today it can signify a social status, an intellectual level, or even political party in some parts of the country. Keurig is a company that took hold of this coffee phenomenon and ran with it. You’d be hard pressed to walk into a business and ask them if they have a Keurig machine and the answer be no. The Keurig is becoming the next microwave: a machine that gives you things you love (coffee, tea, fruit drinks, hot chocolate, etc.) much faster. It also gives you the kind of variety a coffee pot can’t. Some people don’t know what they did before K cups; they’ve become the go to option for folks with eclectic tastes and busy lives. If you’re new to the Keurig machine phenomenon and are looking for the best K cups available, there are some things to keep in mind. They are extremely convenient, but are also more expensive than just buying a pot of coffee and brewing it yourself. They also come in a variety of flavors, so you may have to try several out before you decide on which flavor(s) you like the most. K cups come in over 200 different varieties, from French roast, to Caribou, to Chai Latte, to cinnamon roll, you can get just about any flavor your heart desires and enjoy the perfect cup of coffee. K cup is also a vendor for a lot of name brand flavors that people may not be aware of. You can get K cups in Swiss Miss, Folgers, Cinnabon, Newman’s Own, and several other brands if that’s what you’re used to. So, if you’re partial to a cup of Folgers’ coffee in the mornings, but would love the convenience of just brewing one cup before you leave work with little clean up, the Keurig may be right for you. If you’re looking for something new, but still want that home brewed coffee flavor, Original Donut Shop may be what you’re looking for. Although the list of K Cups flavors tops 200, there are a lot of folks who just like a cup of coffee for what it is: a hard, dark, hot beverage that helps them get moving in the mornings. If that’s you, the Original Donut Shop flavor is the way to go. It has the original brew flavor that you’d expect from your local donut shop without all of the goofy blends and marketing involved. It is just a good, strong cup of coffee that will do what it’s supposed to do. It will save you from driving through the Tim Horton’s, McDonald’s, or Dunkin Donuts drive through, waiting behind 10 other cars checking your watch every 30 seconds. This cup of coffee will give you the same thing for a fraction of the price. A regular K cup costs somewhere in the range of .45 to .70 cents, depending on the quantity you buy. If you’re looking for a way to have variety, very little clean up, and save money over the expensive cups of coffee at your local coffee shops, the Keurig may just be for you.